Anderson & Anderson Construction and Consulting has the experience and skill to handle your Lowell, IN insurance restorations from fire, water, or storm damages whether it’s your home or commercial building that has suffered. 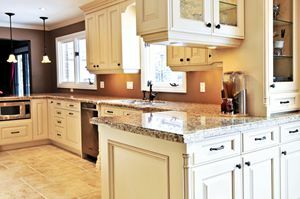 Our contractors have decades of experience to draw upon when working for you to restore your Lowell home or business. Anderson & Anderson Construction and Consulting is here to help you get the most from your insurance restoration process. Dealing with an insurance company and getting the repairs or restoration you need can be daunting and frustrating unless you understand the process and know how to deal with it. We have the experience to handle your insurance restoration with expertise and will represent your interests during the restoration. We take care of everything including permitting, reconstruction, code compliance and everything else involved. We’ll work side by side with you to see to it that your Lowell property is restored and better than ever before. Fire and water damages can devastate a Lowell home or commercial building. If you have suffered from fire and/or water damages, there’s an experienced restoration team waiting to take your call. At Anderson & Anderson Construction and Consulting, you’ll have expert, full general contractor services during the restoration. Or if you’re just looking for some advice and consulting, our Crown Point Insurance Damage Restoration experts here to help too. When storms blow through the Lowell area, homes and businesses can get damaged from the water, wind, hail, or debris that is thrown around. If this has happened to you, or you would like to keep our number handy in case, rest easy knowing you have a restoration company ready to help. Call right away after storms even if there are just small damages because water and moisture can truly continue to cause problems if your home or commercial building isn’t quickly protected. Whether we can come out to make temporary repairs until we can do the restoration or we’re ready to go, you’ll have the Lowell storm damage restoration help you need. If you are looking for more about expert insurance restorations, fire or water damage restoration, or storm damage restoration in the Lowell, IN area then please call 219-662-7200 or complete our online request form.